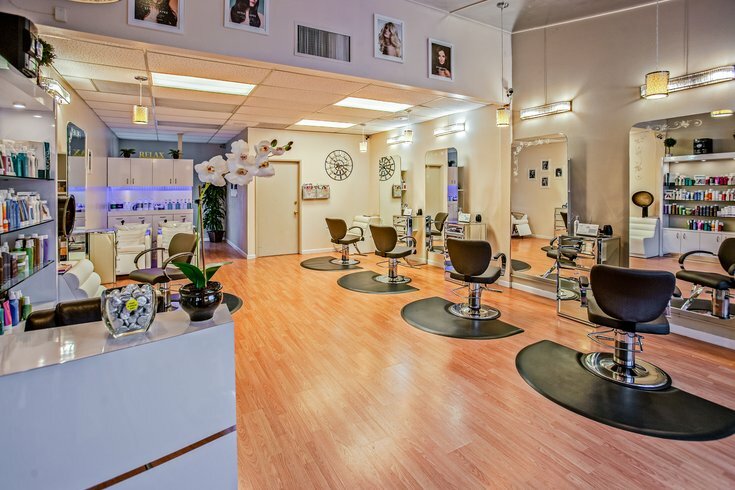 This stock photo shows the inside of a beauty salon. Federal authorities have filed a lawsuit against a Chester County hair salon, alleging the business fired an employee because her husband reported alleged workplace safety hazards to the government. The U.S. Department of Labor announced Friday the suit against Blown Away Dry Bar and Salon in Kennett Square and its owners Jennifer and Rand Singer. According to prosecutors, a plumbing backup in March 2017 exposed employees at the salon to sewage and chemicals. The owners allegedly ignored complaints of nausea and headaches from employees. One of the stylist's husbands reported the issue to the Occupational Safety and Health Administration. When the owners found out about the husband's actions, they terminated the stylist's employment, prosecutors allege. The lawsuit filed again the salon and its owners seeks to reimburse lost wages and legal costs for the employee. It also asks the salon to put up a sign for 60 days saying the business will not retaliate against employees for actions protected under federal workplace safety laws. A call made to the salon before office hours Saturday morning seeking comment from Jennifer Singer was not immediately returned.